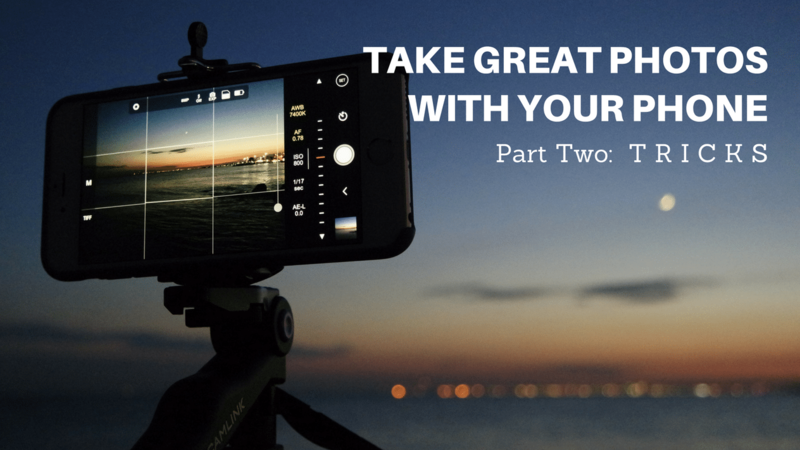 Piggybacking off Part One (“Tips”) in this 2-part blog series, here’s our head-nod to the tricks of the trade: the best apps and gear to make your photos look and feel next-level! We split them into beginner, intermediate, and pro subcategories so you can pick which is right for you, and it all starts with the app you’re using to capture. 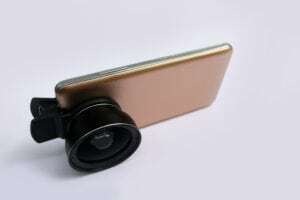 Believe it or not, whether on Android or iPhone, there are better camera apps than the one on your phone! Not only does this free app have pro editing features and sophisticated film-like filters, it has a powerful built-in camera with adjustments prior to shooting. You’ll have a one-stop-shop to point, shoot AND edit in one app! Increase exposure to lighten your photo, alter the white balance to make colors more cool or warm, and slow shutter speed to improve clarity during motion or night shoots. If you want even more customizable features prior to snapping, consider dropping a few bucks on these apps that are appropriately named. Manually configure settings such as the shutter speed, focus distance and exposure prior to snapping. Our favorite feature here is the ability magnify your subject so you can double-check your manual focus! You can also shoot in RAW or JPEG format (RAW files are higher quality but larger, so opt for JPEG to save space). This app shoots well in low light settings and takes long exposures without the use of a tripod! It snaps several photos, aligns them to remove camera shake, and combines them into a single photo. It also shoots daytime water shots well. If your ministry has a lot of outdoor nature and/or night events, this app will come in handy! For a buck more, you can have both manual and auto settings, PLUS – our fav – the ability to shoot time-lapse videos! It’s the best of both worlds, whether you’re a newbie who wants an optimized point-and-shoot option or a geeked out pro. Once again, this is the best starter app for all-around great photos. With syrupy filters that mimic real-life film and all the post-capture adjustments tools you could want! This editing app from Google has everything you need. From healing blemishes to highlighting details to auto-portrait to lens blur, enhance your shot after you’ve captured it! Made exclusively for dual camera phones, this app is superb for portraits as it blurs backgrounds in post! Featuring “bokeh,” a soft glow lens effect, and killer aperture (light) adjustments, Focos enables you to edit your backgrounds so your subject is even more overstated. Impressive right? Adobe’s free mobile camera and editing app that includes a professional camera lens, beautiful presets and easy-swipe manual exposure? Yes, please. If you’re a photography buff but you don’t have the budget or time to edit in Photoshop, this app has your name on it. The in-app purchases are for syncing your photos across databases, but other than that, the perks are all yours! Reap all the benefits of quality shooting and editing at your fingertips! This set includes three clip-on lenses, and it’s a great starter kit for digital photo sharing! 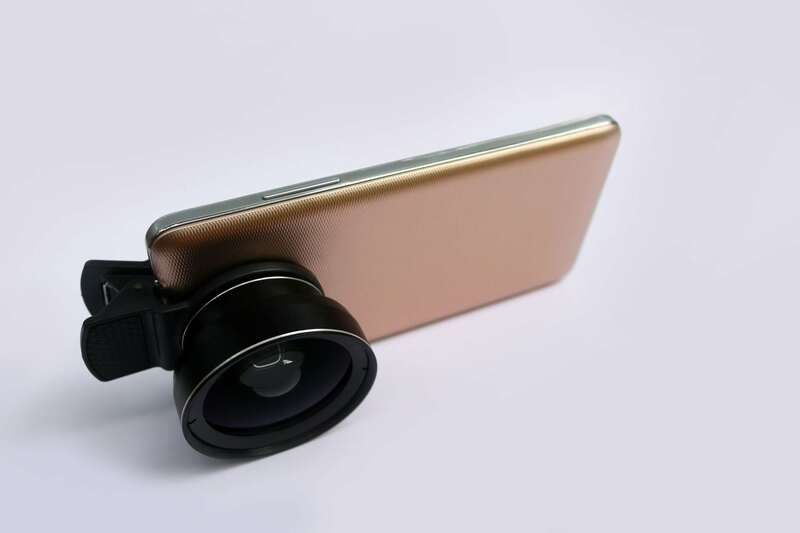 Without spending a fortune, improve your iPhone camera capabilities with a 180° fisheye lens, a 25X macro lens and a 0.36X wide angle lens. Your photos may still contain blurs and graininess though, so if you’re aiming for print-worthy images, take a look at the next tier. Best for casual smartphone shooters, this versatile three-lens combo is fun for snapshots and social sharing! In one small attachment, you get three lenses: a fisheye, a super wide (almost double the field view), and a macro 15x zoom! This attachment is a quality, all-in-one purchase. These two lenses are rated the best wide-angle and telephoto lenses for professional photographers shooting on iPhones! The wide-angle lens offers crisp, clear photos with twice the range of vision, and the telephoto lens gives you a 4x zoom on your camera with high-quality results. Take it from us, it’s advisable to start small and grow from there. Just fiddle around! The more you experiment with different apps and lenses, the more you learn. Have fun! Before you know it, your mobile images will have audiences thinking they were taken with the best of the best!